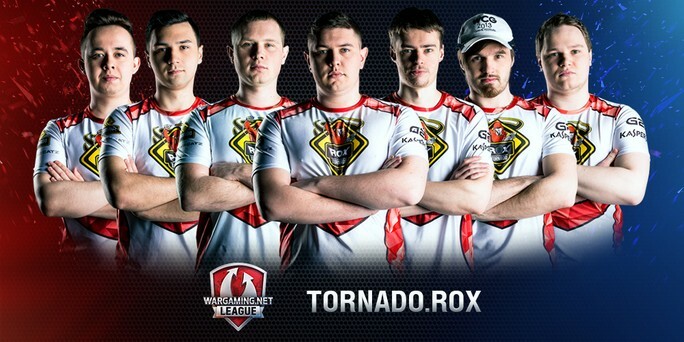 After finishing first and second respectively in WGLEU Season 2, Wombats on Tanks and Tornado Rox will once again battle as the representatives of Europe at the Grand Finals in Warsaw on April 8-9. Their last confrontation ended 7-2 in favor of the Wombats. Both teams are supergiants in the European league, where they accumulate titles season after season, leaving the competition in ruins. But what are they worth on the world stage? It's hard to say. Last October, Tornado Rox took first place at the Continental Rumble, but that was before the League's format change. With tier X now in the picture, the balance of power is blurrier than ever. We talked to both teams as they prepare for the Grand Finals. How do you feel about the Grand Finals? Stressed? Afraid? Basically, are you going to destroy everyone or not? We expect to have a chance to win, but it will not be easy for us. A few facts put some additional pressure on our shoulders: first of all, the changes in the regional rules in Europe for next season [Ed. 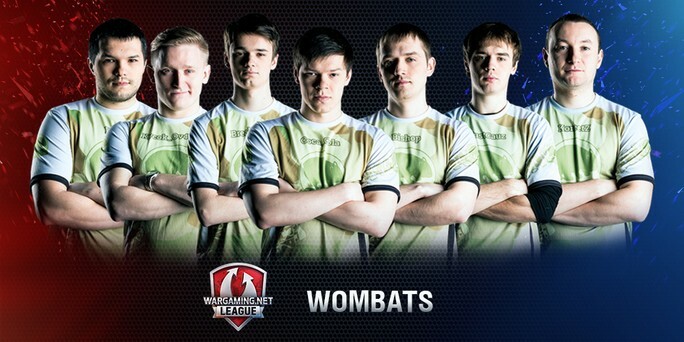 Note: EU is adding restrictions on the number of foreign players in teams, which may directly affect Wombats.] -- we know that our team is going to go through important changes after the event. Additionally, we are facing some difficulties with our preparation. For instance, some of the other qualified teams have decided to train between themselves, not with us, so we do not have all the practice partners we hoped for. Regardless, we will still try to overcome these difficulties and be at our best. Our main enemy will be ourselves. When you're playing a match, none of your problems matter. So we are not afraid of anyone, nor stressed. We are simply eager to prove to everyone that we can win. Last year, EL took second place. Do you think Asian teams are rising to be competitive at the international level? [They] benefited from the new format in the competition: single elimination. This allows for more upsets and moments that defy all the predictions. They were lucky enough to be in the top two. In general, their level has increased a lot, but it still won't be enough to win against the top CIS teams. They are just at another level of preparation. The big day is less than a month away. Are you ready? What's your practice routine? We practice six days a week against various opponents and soon we will try to have two training sessions per day, three to three and a half hours each. We are also conducting specific tests on all maps, going in the training rooms together and exploring the space, simulating situations that could occur in a real battle. We are not fully ready yet, there is still time before the Grand Finals, but we will see the answer to this question in Warsaw. What's the future like for Wombats on Tanks? It is very vague, like when Dumbledore was killed by Severus Snape in Harry Potter, or when Frodo Baggins and Samwise Gamgee were in their darkest hours in the Lord of the Rings. We will see what happens after the Grand Finals. Will we continue to write our history, or will it be the end of the Wombats era? We will see! Cheer for us, believe in our team, and thank you to all our fans for your kind words. Use #VivaWombats on all the social media to support us! Twitch; Twitter; Facebook; YouTube; VKontakte! And enjoy the show in Warsaw on 8-9 April! What was the craziest strategy you tried this season, and did it work? This season our team came up with a lot of tactics, including the craziest. We demonstrated one of them against Kazna Kru on Mines in the mid-season. It worked out well. Seeing our setup, they might have thought we were going to the center, but instead, we went for the second base on the island. From there, the enemy tanks had to travel to us from an awkward position very quickly, because the capture point was controlled very fast. Any specific strats for the Grand Finals? Like most teams, our team has the opportunity to test a lot of strategies and practice unusual tactics to surprise the opponent. Sometimes one of these strategies comes to our minds, and we practice it extensively. If it works well in training, we can use it during matches. If not, then it does not make sense and we discard it. Himmelsdorf. Our team almost always wins on that map, and we always find confidence in our training. Many teams ban this map against us -- they do not want to play it with us as they believe it is our strongest map. And which is your least favorite? If you check the statistics of our team for the season, you will see that we do not like Cliff. We often ban it before the games, and almost never train on it. We took this decision very early in the season, because we feel this map is too random, and in most cases, the winner depends on the starting side. Look forward to more introductions to teams from the other regions!